The Toronto Star is Canada’s largest daily newspaper. 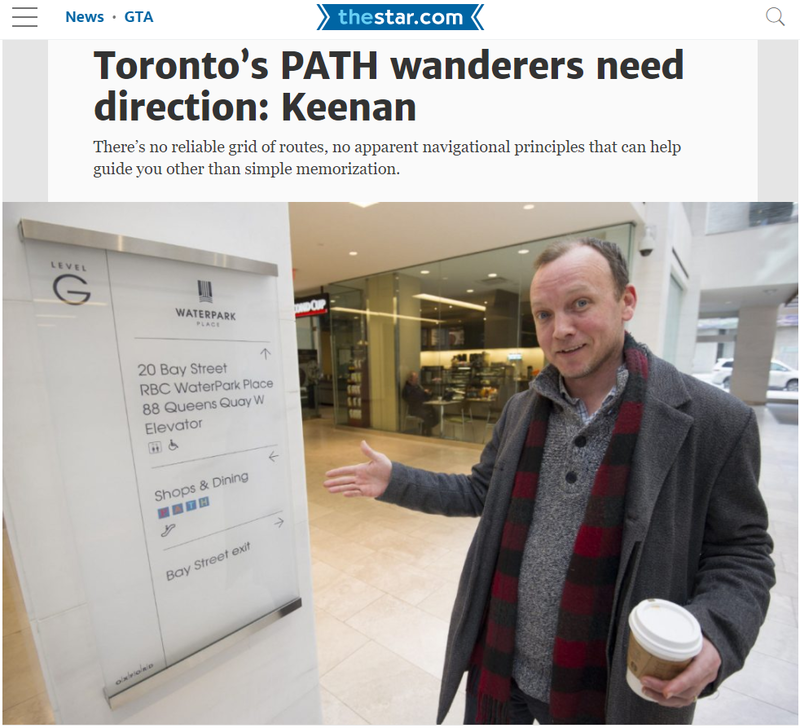 Columnist Edward Keenan discusses Toronto’s PATH Network, a series of underground building connections, and ways to improve navigation within the system. Keenan highlights a suggestion Ev Delen made where major north-south and east-west routes should be named and highlighted in order to more easily determine a route.